Get your 2017 Australian Tax Return finished in as little as 10 minutes from only $29! Our accountants review your return to ensure accuracy. You can have confidence in using Refund Express, because we’re Registered Tax Agents, and happy to help get your Online Tax Return finished sooner with the confidence of knowing it’s been checked by a professional. Pay by Refund or by Credit Card, it's your choice. We use the latest in securing your data and credit cards are all processed by a leading edge firm Braintree. We have created Refund Express to make lodging your Tax Return Easy to understand, we have also added our Deduction Mate along with our messaging system to help get you the Maximum Refund you deserve. Don't leave a tip for the ATO! 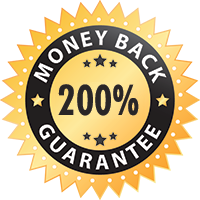 We Guarantee you can get the maximum refund possible or we will give you Double your Money Back Guaranteed*. Don't Leave the Tax Man a TIP! See how EASY it really is! Let Rex show you just how fast and easy Refund Express is to do your online tax return. 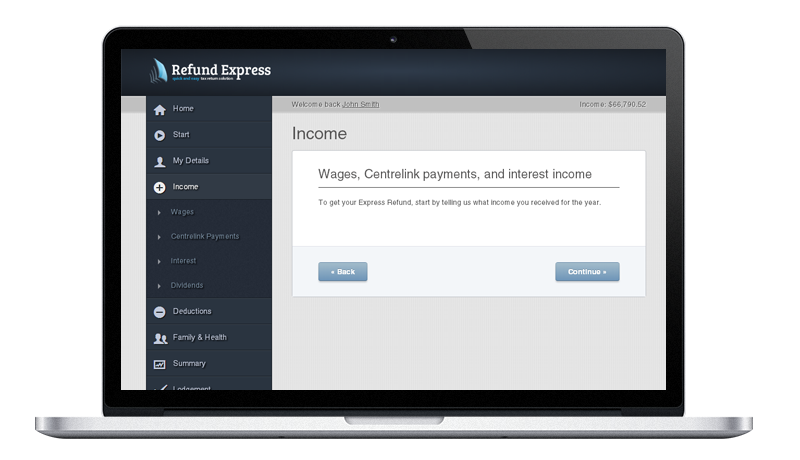 Online Tax Return for every Australian from only $29! Australian Tax News and Advice to help you get your Tax Return lodged and up to date. Lodge an Australian Tax Return? In the lucky country, we get a range of different concessions on our taxes – and often our employers pay a little more tax on our wages than what is due. It’s all good though, we get to claim it back at the start of the new financial year! Your 2017 Online Tax Return is now easier than ever, with all the questions made quick and easy to answer. So now you can breeze through the process, and get back to doing better things. 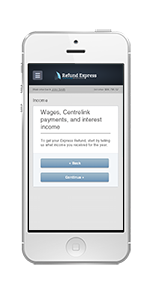 All this and have the convenience of having your Refund Direct Deposited into your Bank Account. Our online application has been created to work in the cloud, quick, secure and on any device. From Android, iPhone to windows or Mac. Easy to understand and help our accountants so you don’t miss out on a bigger Refund $$$ Simply lodge or message our helpful accountants once you're logged in and we can help make sure you don't miss a thing. We’re quick & easy, just how you always wanted it.